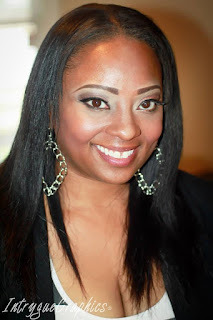 BOSS Spotlight: Lakara Foster "The Empowerment Speaker"
Lakara Foster, M.Ed serves as the CEO of She Speaks! Institute For Women, Inc., whose mission is to educate, empower, and enlighten. As a speaker, author, and spiritual development expert she has appeared on several television shows including The Oprah Winfrey Show and VH1's Atlanta Exes as a Life Coach. Honestly, I was my own obstacle in the beginning. I feared asking for help and was unwilling to admit that I didn’t have all the answers I needed to be successful. I spoke to a friend who reminded me that Jesus recruited disciples because he could not do the work alone. With that one statement, I began building a team of people who believed in me and my God-given vision to empower women. Over the years they have served as friends, confidants, and my event staff at workshops, retreats, and seminars. I have also built a powerhouse mentoring team of individuals who selflessly invest their time and knowledge to ensure that this vision comes to pass. When I was five years old, I received my first report card and my grades were all “A’s” in academics and a “C” in behavior because the teacher said I talked too much in class. My father looked me squarely in my little face and said, “Unless you are getting paid to speak in that teacher’s class, I suggest you remain quiet”. All I heard in that moment was “get paid to speak” and realized at a young age that I could actually make money for something I loved to do! Although, it took 30 years for me to step out on faith and make that dream a reality, it was the best decision I have ever made. I believe in playing as hard as I work. It is vital to your physical, mental, emotional, and spiritual health that you carve out sacred time to rest and rejuvenate. Also, because I am constantly pouring into others, I make sure to surround myself with people who will pour back into me. Philippians 4:13 “I can do all things through Christ who strengthens me”. Maggie and Ernest Foster, Oprah Winfrey, Bishop O.C. Allen, Donny Walker, Tasha Reid (Mentor), Dr. Tonya Moore (Mentor), and Dr. Daniel Black (Mentor). 6. What are your "must-haves" to keep your career or business going strong? I “must have” daily prayer and meditation time, strong mentorship, and a desire to serve God’s Women. A BOSS is someone who has accepted the calling on her life and walks in her assignment daily.